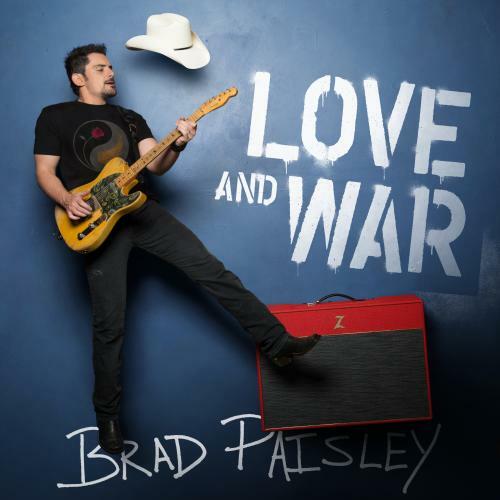 Superstar Brad Paisley announces the release of six music videos, exclusively on Facebook, from his upcoming album, LOVE AND WAR, as a countdown to the April 21st album launch. The socially sourced videos come on the heels of the overwhelming success of Paisley’s 24th #1 hit “Today,” which garnered more than 42 million views following a Facebook premiere. View the newly released video for “selfie#theinternetisforever” HERE. Numerous photos from fans are included in the video which were submitted after Paisley posted a plea for them to send in their most embarrassing selfies. Fans can continue to participate in the remaining socially sourced videos by watching for Paisley to issue a request on his Facebook page. Paisley’s 11th studio album, LOVE AND WAR, which releases April 21, is available for pre-order now HERE. Pre-save LOVE AND WAR on Spotify HERE. As an added bonus, fans who pre-order will receive “Today” and two additional album cuts from the new album, “Heaven South” and “selfie#theinternetisforever” as instant grat tracks! “Heaven South,” written by Brad Paisley, Brent Anderson and Chris DuBois and “selfie#theinternetisforever,” written by Paisley, Jim Beavers and Chris DuBois, are two of the 15 tracks on LOVE AND WAR, all of which Paisley co-wrote.